Proven favorites that endure the test of time. There are four basic fibers that are used to manufacture carpets today, and they all have unique qualities and strengths. We start with the most durable carpet fibers ever made. And then we throw in something extra, like lifetime warranties against stains and soils, and warranties for wear up to 20 years. Get helpful how-tos for maintaining and cleaning the like-new look of your Shaw carpet flooring. The cushion you choose is just as important as the carpet itself. Choose luscious, soft carpet padding to minimize noise, maximize warmth, prioritize your family’s comfort and extend the life. 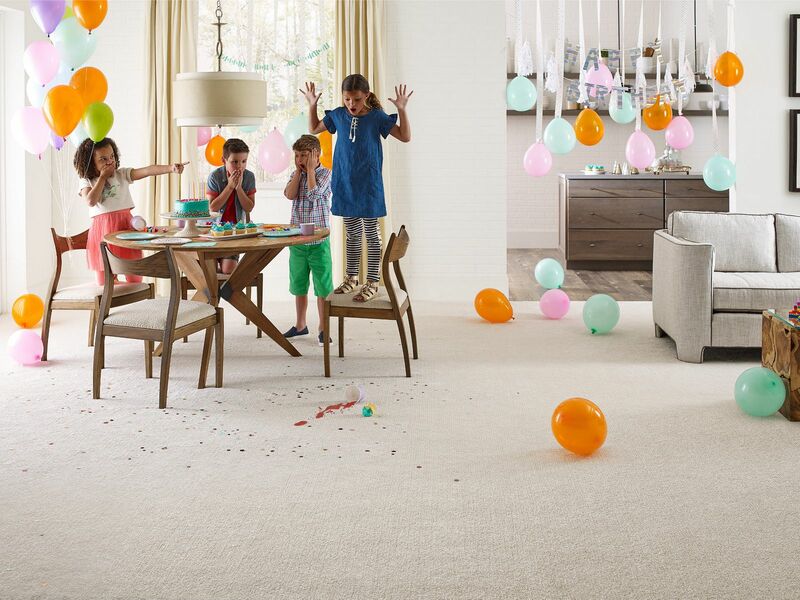 Our R2X Stain and Soil Repellant protects carpet fibers from dirt and spills. Shaw's flexible carpet backing system offers a host of benefits over traditional backings.